Policy in Practice recently went to see Universal Credit (UC) live in Hammersmith Jobcentre Plus. We spoke with frontline UC advisors, most of whom had previously been Jobseeker’s Allowance advisors, to find out about their experiences of the new system. The frontline advisors we spoke with felt that Universal Credit fostered a more positive relationship with their customers, that it gave advisors more flexibility, and that it was already changing the culture of Jobcentre Plus. Universal Credit will combine Jobseeker’s Allowance, Employment and Support Allowance, Income Support, Housing Benefit, Child Tax Credit, and Working Tax Credit into a single benefit, making UC much simpler and easier to navigate than the current system. Frontline advisors in Hammersmith JCP report that simplification is working in practice, and Universal Credit has really helped to remove what they called the ‘drama’ of the benefits system. The current benefit system is very complex, involving multiple agencies, applications, processes and rules, and affects the relationship between the advisor and the recipient. Rather than spending a lot of time trying to explain different elements of the system, advisors got to spend their time supporting their customers to find work. This led to much more positive relationships and more rewarding work for advisors. Universal Credit advisors reported having more flexibility in their work than they had done working on Jobseeker’s Allowance, although they noted that their limits have not been fully tested. They said that the new Claimant Commitment was bespoke and customer-led. It allowed them include a range of activities not traditionally classed as ‘job-seeking’ but helping to remove barriers to work. Examples included attending an appointment with the local authority housing team (co-located in the building) to help deal with rising arrears and to avoid homelessness, to watching a YouTube video on interview techniques. They also said they will have flexibility over how often they meet with customers. Currently jobseekers must visit the Jobcentre at least every two weeks, but advisors will have the ability to change this depending on customer need. The most striking change at Hammersmith was how Universal Credit is fostering the whole culture of Jobcentre Plus to change. 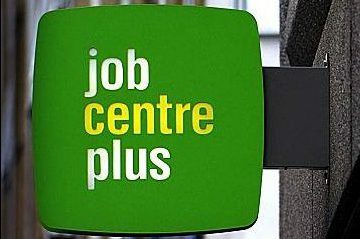 The performance of Jobcentres has traditionally been measured by ‘off-flow’, or the number of people signing off benefit, regardless of the reason. This has led to perverse incentives for advisors. As they described it, the performance measures meant that their job was to get people out of the door as soon as possible. This could mean that a customer changing benefits or going on holiday could count as a ‘win’ for the advisor. The performance metrics that will be used for Universal Credit are still being decided, but it was clear that they are moving away from ‘off-flow’ towards measures of sustainable employment. They suggested earnings and length of employment (tracked via Real Time Information) as possible measurements. This change will incentivise advisors to help their customers find rewarding, sustainable work rather than just getting them off of benefit. In addition, advisors will have longer term relationships with their customers. Under the current system, people are segmented depending on which benefit they are claiming – Jobseeker’s Allowance, Employment and Support Allowance, or Income Support. If a person claiming JSA falls ill and switches to ESA, they would also have to switch advisors. Under Universal Credit, all three of these benefits will be classed as UC, so people will remain with the same advisor throughout their UC claim, regardless of a change of circumstances. UC advisors will also be supporting their customers after they find work, especially if they have not reached the earnings threshold (National Minimum Wage x hours required for tax credits). Progression in work was seen by advisors as requiring a different kind of support and set of skills than Jobcentre advisors are used to. Overall, frontline advisors in Hammersmith were very supportive of Universal Credit. They feel it is promoting more positive relationships with customers, leading to greater job satisfaction, and is changing the culture of Jobcentre Plus from a focus on ‘off-flows’ to employment outcomes. Are you evaluating in work Benefit Calculators?